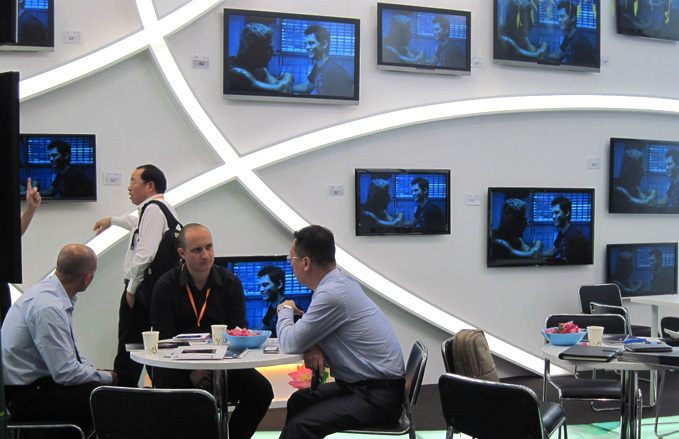 2012 Hong Kong Electronics Fair(Spring Edition) was held in Hong Kong Convention and Exhibition Centre on April 13-16. This fair attracted thousands of enterprises and the displayed electronics covers Audio & Video products, navigation system, telecommunication equipment and so on. 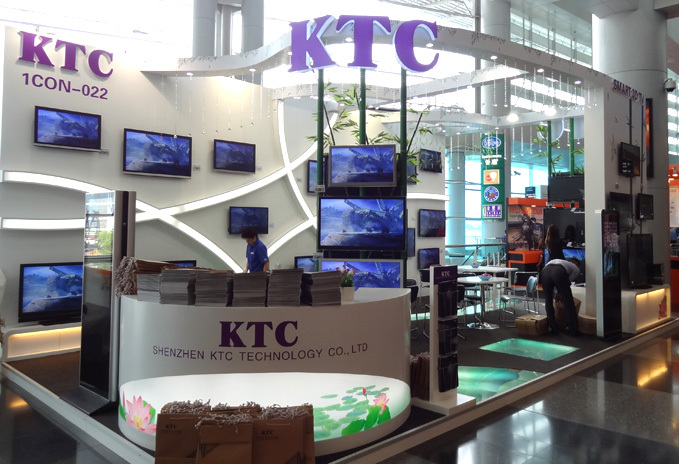 KTC attended this fair with LED, LCD, smart 3D TVs and advertisement machines. All kinds of high-tech electronics are shinning are shinning on this fair. As our flagship product, 3D TV gains much attention from customers. This product integrates 3D movie, free access to internet, smart software installation and other entertainment function. It adopts Andriod operating system and wifi, which can connect the Internet and transmit data with an external device easily; Furthermore, intellectualized operation and abundant resource from Internet bring customers diverse experience. At the same time, we put forward L31 series. As our latest developed model, it possesses the characteristic of ultra-thin, narrow bezel and fashion. In addition, 32L31D TV adopts the appearance of L31, also self-developed D-LED panel is equipped to it, which demonstrates our innovation strength. Besides, in this fair, we abandoned industrialized design style, and created a new and freshing garden environment, which is unique in this fair and gained much acclaim. This design style is in compliance with KTC's product positioning: "Pursuing high grade and quality products", conveying a refreshing feeling, which impressed consumers deeply. The trip to Hong Kong demonstrated our technical strength and comprehensive competitiveness. At the same time, promoted our business development, and brand recognition at home and overseas market.